1. As you already said, I also would recommend xvnc4 as the primary choice (tried tightvnc before, doesn't work well). 2. xvnc4server worked great with a Windows client (Real VNC Viewer). 3. To minimize brute-force attacks, I'd suggest installing fail2ban, which is good for other services, too. Not the most straightforward setup, but there are tons of online howtos. 4. The remote server where I tested leonArdo was a Linode VPS with only 1 vCPU and 1 GB of RAM; performance was fine, about 30% CPU and RAM at most (but I wasn't running much more on that server). QT5 takes advantage of extensions not available to all VNC servers. Be very careful about security my auth.log has tens of thousands of failed login attempts. If you are going to rely on your VNC password it better be a good one as most VNC only give you the option of 8 character passwords. Then if there are too many attempts the VNC will time out and you will not be able to log in until either the time runs out or you ssh into the box and kill the VNC (and your applications) to give you a chance to log in OR disable the counter which may work in an emergency but will make the box very vulnerable. Do not leave any unencrypted txt files on your server after you have added your keys to leonArdo. Encrypt them on leonArdo delete them from the server. Do not allow the browser to save anything especially passwords to your exchanges. A few months ago a guy on the slack channel said he was going to setup a VPN. It seemed he only remembered the soundbytes he wanted to without understanding what he was getting into. Two days later he was on slack he said he setup his "windows" VPS and had been hacked, have not heard from him since. I thought at the time it was an inside job, it happened so fast. This is why I have been so verbose about this, I want you to hang on to your coin until I have a chance to trade it from you! One of the things you may try would be adjusting the font within leonArdo. On the top right click on the thing that looks like a gear then select the fonts tab. This should help with some things. Still nothin'. Looks exactly the same with the font turned down to 2 on all of them :/. Funny thing is its not just on this pc its on all of the pcs that I have tried to install it on. I had strange display issues (way oversized window not resizable) when using leonardo with linux mint and a monitor connected with an hdmi cable. I moved it to another box with linux mint and a monitor connected with a vga cable and everything works fine there. And the thing is that if I hover the mouse to another field the text box might or not display correctly but doing it back and forth it will eventually work. So I think its a bug, for some reason Leonardo miscalculates the size of the text box and thats why only partial text fits inside. thank you guys, that was really helpful! Will other exchanges be added in upcoming releases? Like Binance? leonArdo-linux-3.7.8-b12118297 Running separate instances for each exchange (as is do usually for a while). On bitfinex with 15 open pairs, only one margin maker running for about 3 to 5 days or so. After stopping the margin maker, leonArdo terminates very quickly. It's a bit hard to repeat to get this to happen (and so to log it). Maybe some problem which accumulates over time? Dunno. Additionally, at some time it seems a strategy gets stuck at changing it's state from buy to sell or vice versa. I need to stop it (which often goes w/o a crash) and then restart it to have it working again. Sadly, at that point often leonArdo lost already a lot of stability and a crash can be expected soon. On bittrex, having 6 open pairs and no bots running at all. leonArdo terminates after at least 2 hours of runtime. I've tried it to have it running with strace to log for the problem but that actually prevents it from happening. That makes it even harder to find the problem. On HitBTC, 2 open pairs, 1 to 2 margin makers running on these. After 5 days of runtime, leonArdo gets out of sync with the API and stopped to recognize changed values in the wallets after an order get filled. Besides that; there is still the new usenet/google group i've created where we (users) can discuss these bug-reports, suggestions, best practices and such in separated posts to avoid having this thread cluttered with all of them all over. thanks for yout thorough testing. We appreciate it! The logs right after the crash would also help. Can you confirm that you are not seeing any crashes when running it with strace? And does it crash right after stopping the strategy? Or a couple sec, minutes later? As i asked where to find the logs, i got told to check the windows system logs.... Well i'm no longer using windows and still did not get any meaningful information about where to find usable logs at all. So nope, i did not check any logs... Maybe, someone of you can tell me, which exact file out of the tons of files your software creates might be the best one to start with? What about a useful implementation of the qt logging facilities maybe? For bitfinex, it actually crashes after a distinct amount of runtime whenever i try to stop a running bot or adapt an existing order. On HitBTC, leonardo just freezes after an unknown amount of time since i have more than one pair open steadily. 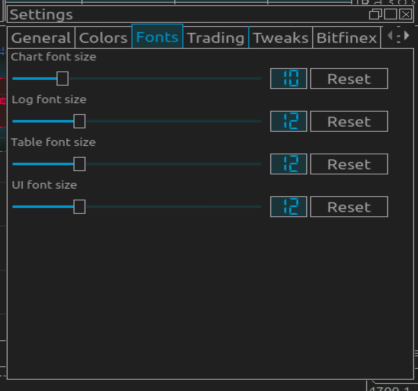 For now, poloniex seems to be the only stable variant of the exchanges (I use bitfinex, bittrex (unusable! ), HitBTC and Poloniex). I would like to help more with identifiying problems and bugs .. but having any instance running in strace makes it painfully slow and potentially even slows don API access by a significant amount, which might lead to the reason for crashing on bittrex at all but, i don't know the source and i'm not that much of a programmer at all.. I wish there would be a better way for this. What about some debug mode, triggered via command line parameters or so? Here is where to find the logs, credit to Amaralluis (from a prior post). They will contain helpful information for support to work on the issues you have uncovered. The files you would be looking for are named by their exchange and pair. Often my logs run 60+ MB so I 7z compress them for efficiency before sending them. Probably 85% of the time I will send a screen print if I think it is helpful. Heh .. yeah thank you for that bit of clarification... I already knowed where to find the logs at all .. but it seems to be to much hassle to check and save them everytime any problem occurs (and sadly, that's happening very frequently..). So, as i wrote on my last post, i'm gonna hack some wrapper together to make that easier to me. At least, logs are preserved and not rewritten/old content deleted. just on a side note - as you seem to have a lot more problems running leonardo than most - we support leonArdo for Ubuntu Linux only so far (apart from OSX and Windows of course). I know you don't want to run Ubuntu - and believe me, in a way I can relate to that as an avid user of NetBSD for years - but we have still limited resources and we have to focus on the distributions that most people use. We will have a look at your logs and try to tackle all issues asap, just a reminder that using Ubuntu could help. So .. back to topic ... it's actually getting somewhat annoying to report stuff and don't get meaningful answers in the long run. I have been using Leonardo for about 4 months now and I get good results. I will usually average at around 1.26% - 1.69% per day (obviously the conversion to dollars or pounds is crap right now - but the crypto balance is still growing). 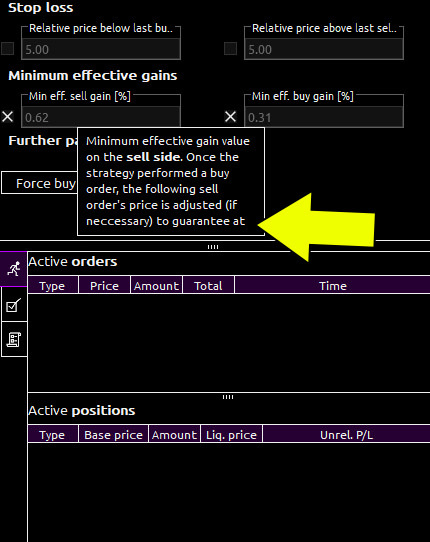 What I am looking to try and do and I'm not sure if its a feature but, I would like to auto-change the position in order to accommodate the percentage growth just gained in the last sell. At the moment I have to do this daily in oder to in effect compound my stake, I would prefer to set it and forget it. Or spend a couple of mins a day like I do now adjusting the bot. Any creative ways of doing this rather than manually? Have you considered using Docker to supply a fully-functional, stable and certified Linux container for leonArdo? It could bundle the essential, recommended core OS base, so it would run exactly as it should on every Linux distro out there. And, depending on how you deliver it, the installation could be even easier than it is today (e.g. publish leonArdo on the public Docker Hub); what about a simple "docker pull leonardo"? But this is off-topic. I think a Docker container would close this gap (like a "static build on steroids"), if the cost to implement justify the benefits. A docker solution sounds nice. We have to look into it. I haven't used it much for desktop applications yet. Also I don't know yet how easy it would be for the average user to run it on his/her machine. Two new exchanges and Desktop Notifications! The previous 3.7.8 version is still available for download as a fallback option. Important: Although Kraken improved their trading engine, it is still much slower than every other market we support. This can result in some situations that are unlikely to occur on other markets. For example, if you stop a bot to adjust some setting and then press start again, it might be that the amount the bot starts with the second time is smaller than the first. This is because the funds might not have updated yet. So take care and double check the the bot is starting with the amount you want it to. Thanks for the new version. I have just downloaded it and installed. In Windows task manager it is still shown as 32 bit. Is there a different URL for 64 bit version to download? Wow! Looks great! An especially nice touch is displaying BNB with the currencies so I can keep track of it to make sure I never run out and my exchange fees remain only half of the already low low Binance fees. There is now a link for the 64 bit.